One of our partners for the Stories of Integration Project is the Saskatchewan Filmpool Cooperative. Incorporated in 1977, the Filmpool is one of the most successful and active artist-run centres in Canada. This week, in partnership with Regina's Cathedral Village Arts Festival, the Filmpool will present Screening Under The Steeple at The Artesian on 13th. 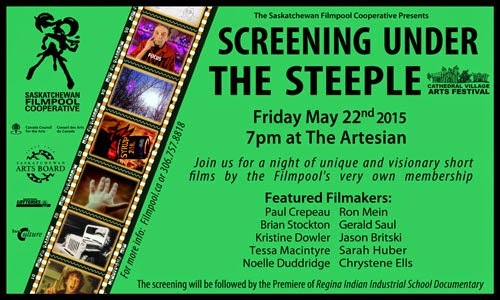 The event will showcase a collection of short independent films produced by Filmpool members from across Saskatchewan. Each year, the Filmpool presents about 50 events for its members, the artistic community, Regina citizens and Saskatchewan. The screening will be followed by the premiere of RIIS From Amnesia, a feature-length documentary, written and directed by Janine Windolph and Trudy Stewart, on the Regina Indian Industrial School (RIIS), its descendants and legacy. 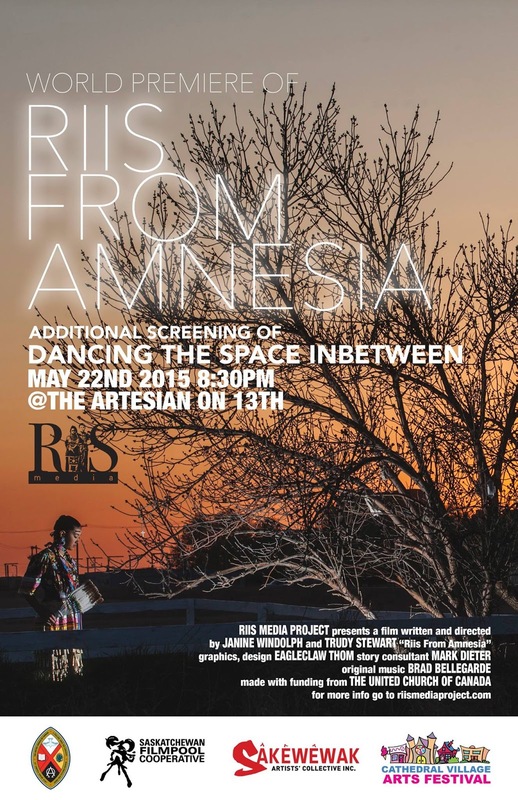 The Saskatchewan Filmpool provided support for the production of RIIS From Amnesia. Each year, the Filmpool supports the production of more than 60 independent films and provides members with opportunities to screen their films at numerous events, venues and festivals in Saskatchewan and beyond. In 2013, the Filmpool was the recipient of a Lieutenant Governor's Arts Award in the category of Leadership in the Arts - Organization. The Filmpool's unique and innovative programming reflects the individual and collective expression of Saskatchewan people, and the important role that creativity, art and culture play within society. It publishes the bi-annual Splice Magazine, which has existed for 35 years and is one of the only magazines in Canada providing a forum, voice and context for independent, indigenous filmmaking. The Filmpool functions as a gathering point for aboriginal, rural, immigrant and women filmmakers by providing outreach opportunities to these communities, including both administrational and technical support for Queer City Cinema, IPUFF (International Puppet Underground Film Festival, mispon (A Celebration of Indigenous Filmmaking), Poetry and Film night and many others. 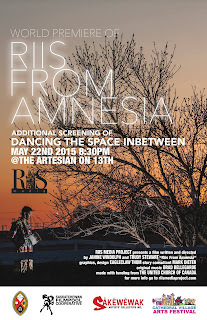 Hope to see you at Screening Under the Steeple and the premiere of RIIS From Amenisa. This place is perfect for any kind of night you're looking for. In the downstairs area at Chicago event venues, you can enjoy a lounge setting while talking over drinks with a small party. Or, if you're looking to mingle or have a bite to eat, you can head upstairs.